THE Gubernatorial Advisory Committee (GAC) of the Lagos State All Progressives Congress (APC) yesterday said there is no going back on the proposed direct primary for governorship aspirants. The party elders said the three aspirants-Governor Akinwunmi Ambode, former Commissioner for Establishment, Training and Pensions Mr. Babajide Sanwo-Olu and former Works Commissioner Dr. Obafemi Hamzat-will struggle for the ticket at the shadow poll scheduled for Saturday. 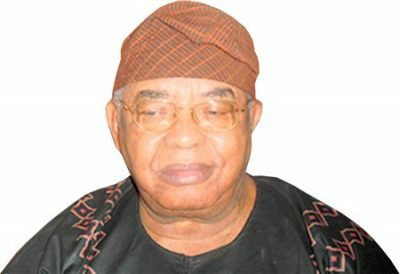 Two members of the committee, Dr. Abayomi Finnih and Prof. Tunde Samuel, told our correspondent in Lagos that the direct primary reflected the opinion and wish of the generality of party members across the 20 local governments, adding that a level playing ground will be guaranteed by the party leadership. Finnih, a medical doctor, promised that the direct primary will be free, fair, all-inclusive and democratic. He said: “The decision was taken in our meeting. We had a lengthy meeting presided over by our leader, Asiwaju Bola Tinubu and we had some discussions about the on-going concerns about the aspiration for governor in Lagos State APC. Noting that the decision on the direct primary is final, Finnih said the next governorship candidate will be elected during the shadow poll. He stressed: “The decision is final. We held our meeting last Thursday. We adjourned. We resumed last Saturday. We came to the conclusion that we must be consistent; that everybody who has obtained the form should be allowed to participate at the primary. Asked whether the party would consider the imperative of the right of first refusal for the governor, he said democracy is about equality and not imposition. Samuel, a retired university teacher, said the chapter decided to organise a direct primary to clear the insinuation of periodic imposition and anointing of candidates. The former don however, said that after the primary, the onus is on the electorate to choose the next governor. Samuel said there will be no post-primary crisis, adding that, if it occurs, Lagos APC has rational thinkers and philosophical kings who will resolve it. He said: “Politics is not for the lilly-livered. APC is blessed with rational thinkers and philosophical kings. We are not afraid of crisis management. We will always ensure justice and fairplay.